Johan Barthold Jongkind was born in 1819 in the village of Lattrop and spent his youth in Vlaardingen, a famous fishing town in the southern part of Holland. In 1837 he started taking drawing and painting classes at the Tékenschool in The Hague under the tutelage of Andreas Schelfhout, the famous romantic landscape painter. Schelfhout taught him to execute landscapes in the typical Dutch tradition of Romanticism. His talent did not remain unnoticed. In 1843, he won a scholarship granted by King Willem II for continuing his study, and in 1845 he received a grant from the Prince of Orange. 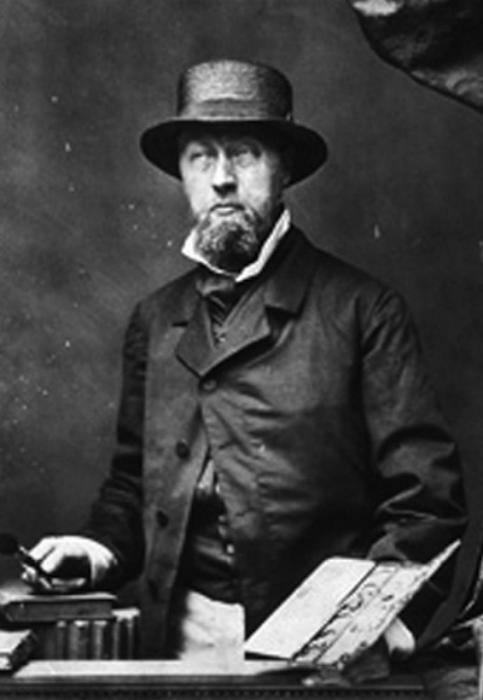 A year later Jongkind left for Paris, where he did not continue to work in the romantic manner of Schelfhout and Isabey, but developed his own style, which had a stronger connection with the innovative French artists, such as the School of Barbizon and the impressionists. While in Paris, Jongkind turned his attention from the Dutch landscape to French city scenes. The style of Jongkind developed through the years from romantic to a free, loose style. This development becomes clear in his drawings, which form the basis of his paintings. As the drawings become looser, his oil paintings also evolve. Despite the artist's loose, expressive style, he is ultimately a realist.